Doctor is believed to have a special place next to God. He is the one who has the power to make an attempt for saving a life after God. 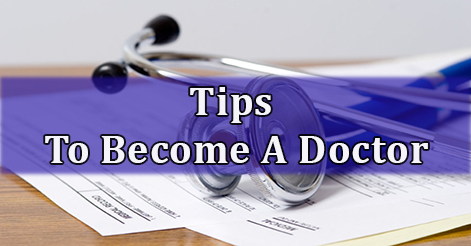 To pursue doctor as a career demands a lot of hardwork, patience and determination. One should be willingly ready to help others and dedicate his life to serve not only paying patients but also the needy. There are different types of doctors according to their field of specialization or stream. He could be a general physician or a specialist. Defying the mortality of human to some extent, the health problems arise in every living being. Hence, doctor is needed everywhere and is very much in demand. To become a doctor, one must endure a lot of training and education. We are listing some points which will help you achieve your dream. 1) For a strong base one must study courses to prepare for medicine, such as biology, chemistry, and some advanced mathematics at school level. 2) It takes five years of education to finish the medicine course. 3) The first four years, one would take pre-med. classes. Then it’s on to medical school, where for four years one learns about the area of medicine one chooses. 4) Then one year of internship is needed after 4yrs where he practices medicine under supervision of a senior doctor. 5) One can opt for Master degree like Master in general medicine (MD) or Master in surgery (MS) after Bachelor of Medicine, Bachelor of Surgery(MBBS). All together, it is about 7 years before one actually becomes an independent doctor. Doctors will always be needed. Other major factor is population growth, doctors will always be in demand and the profession will continue to grow. This way, a doctor will be unemployed less, and will be more secure, financially. 1) AIIMS (All India Institute of Medical Sciences) : AIIMS is the medical science giant which ranks on the top of the medical college list. Every year more than 80,000 candidates apply for MBBS course in AIIMS only 70 vacancies, which makes it one of the toughest of entrance examinations. 2) AIPMT (All India Pre-Medical Test) : It is conducted by CBSE, New Delhi every year. It acts as a gateway to get admitted in the top ranked colleges of the country. 3) CMC Vellore Common Admission Test : Christian Medical College, Vellore is affiliated to Tamil Nadu Dr MGR Medical University, Chennai, holds an all-India entrance test (CMC Vellore Common Entrance Test) every year to select students for admission into various undergraduate level medical and paramedical courses. 4) BHU-PMT (BHU All India PMT) : It conducts entrance exam every year for admission in various courses viz., MBBS, BDS, BAMS and BPharm from Banaras Hindu University. The seat distribution is, MBBS- 84; BDS – 38; BAMS – 78; BPharm -33. 5) DPMT (Delhi University Pre-Medical Test) : It is a national level entrance test conducted by Delhi University to select students for admission to MBBS and BDS courses offered by various medical colleges affiliated to the University of Delhi. 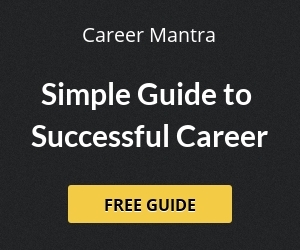 Help us to improve this article/job posting "Tips To Become A Doctor". We would be glad if you can comment below and provide your valuable suggestions and feedback. If this page have any wrong information/list or out of context content, then you can report us as well.